I am a South African, on the sporting front we thrive on Rugby, Soccer and Cricket. From a young age that is what we are instilled with. The girls would play Netball or Hockey, both of which I do not know much about the rules apart from either getting the ball in the hoop or in the goals. But recently my friends from Prima Interactive were friendly enough to send me a review copy of 2K’s NBA 2K18. For those of you who are not familiar with the title it is the latest iteration of the yearly Basketball franchise. Being South African, as well as being on the short side, Basketball has never been anywhere close to on my radar. So when this game arrived I had to brush up on my Basketball knowledge. While NBA2K19 was busy installing I checked out some Youtube on the basics of basketball as well as some history of 2K gaming developers. 2K is the company that brought us gems like Mafia 3, the Bioshock franchise and ofcourse the Borderlands series! 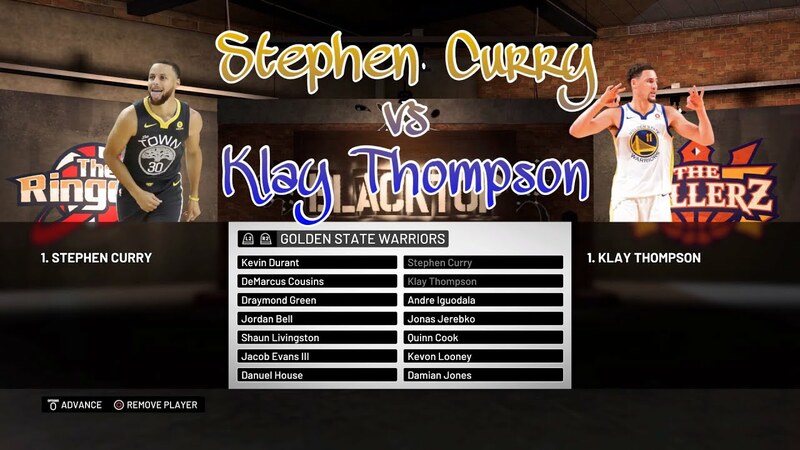 Just those names alone should give a clear indication of what potential NBA 2K19 has to be great… Or fall short of the amazing company in which it finds itself. I did some reading on previous versions in the NBA franchise games so that I could make a better comparison. 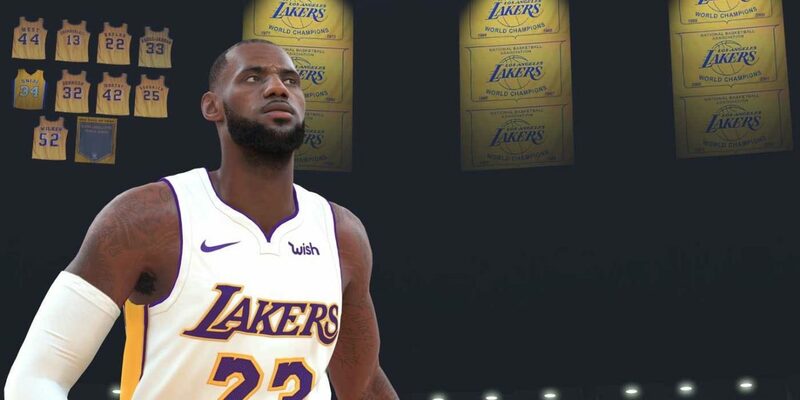 NBA 2K19 has taken massive strides to bring gameplay as close as what is currently possible to reality. Not only does this bring forth stricter simulation it also rewards players with more skill and punishes those who lack discipline! 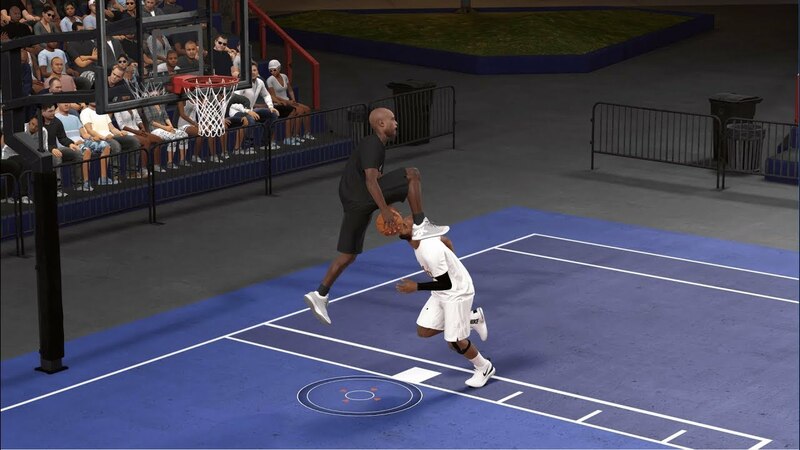 One of the first things that are new to NBA 2K19 is the Takeover meter. Takeover has the potential to boost or weaken your players key attributes. It is a pretty simply system. Do what your players’ type of player does best, be it defense, dribble, passing etc, and do it well and the takeover meter fills. Once filled, all those skills will get a boost making your player even better at what he does best. This places emphasis on the fact that once NBA player find their rhythm they can single-handedly take over a game. Compared to previous years, it is now considerably more difficult to even get close to the hoop against AI defense without running some form of distraction or running play ( yes I learnt some jargon). Shot meter color and position can now be changed and positioned to suite your personal preference. Something I definitely experienced and like alot is the accuracy and preciseness of on-court actions making for quick and accurate responses when you need to make adjustments. layups and shots now show the shot meter more clearly as well as the shot meter staying with you for longer and giving you a more clear indication of when you should release. Some say the new system makes it alot easier to take shots, I did not experience it that way at all it took me quite some time and a barrage of profanity before I sunk my first shot. On defense you need to really be attentive on the player you are defending, you cannot spam the button to stay on the ball handler. You need to manually contest each shot and if you do not pay close attention to possible fakes you will waste your opportunity and the attacking player will have a open shot. Previous MyCareers have not been lauded for their compelling stories, I watched a few videos on how the stories played out and they are cringe-worthy. NBA 2K19 turns up the drama and makes it believable! Called “the Way Back”. Your created player, who was unfortunately not drafted, starts off in China trying to make a name for himself before making his way into the G-League and later winding up in the NBA. As usual you develop rivalries and relationships along the way which is told by truly spectacular cutscenes. The cutscenes truly blew my mind! Some well known voices and faces lent themselves to these cutscenes, the likes of Anthony Mackie, Haley Joel Osment, Michael Rapaport to name but a few. MyCareer focuses on the grind. After many hours you will arrive in the NBA. This is where the writing disappears and you find yourself in the Neighborhood, players of old will recognize this as the social hub where you can practice, play ball, complete activities and, ofcourse, purchase things. Here you can spend virtual currency, which can be obtained by playing ball, or you can spend your hard earned money and upgrade your player faster. The Neighborhood aspect is something I truly love because it serves as a social gathering place as well as a facility but my only concern is because it hinges on a social input, I hope that their is enough interest to keep it alive way past its initial launch and keep thriving for months to come. 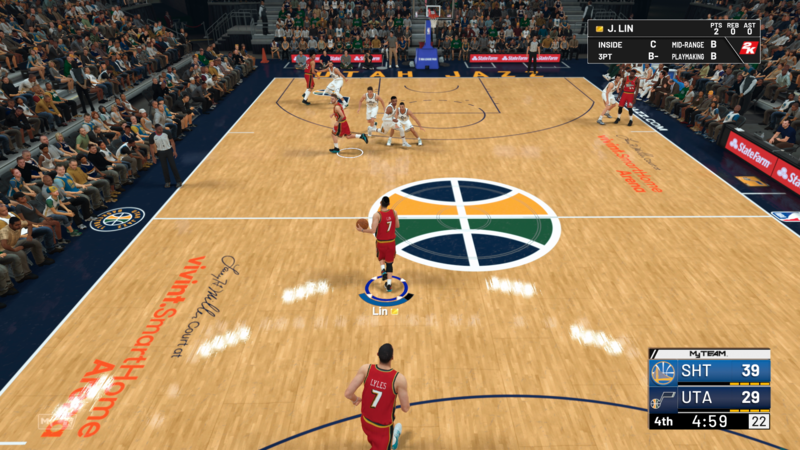 The franchise mode, which has been known to be tremendously deep and customizable, does however not get the quality-of-life upgrades like MyCareer gets but it is still deep enough to make it a worthwhile adventure to undertake. MyGM plays exactly the same as previous years continuing the truly terrible story, called “The Saga Continues”. The textbox filled, sleep-inducing snore-fest has no voice acting and shortly after starting it I quit, so unfortunately ( fortunately) no more from that side. MyTeam, 2K’s version of EA’s Ultimate team, still craves cold money to really make itself great. Yes you can simply grind away for in-game currency but I which they could move away from the blatant emphasis on microtransactions. Last, but not least, there are the 2 game modes known as Blacktop and 2KU. 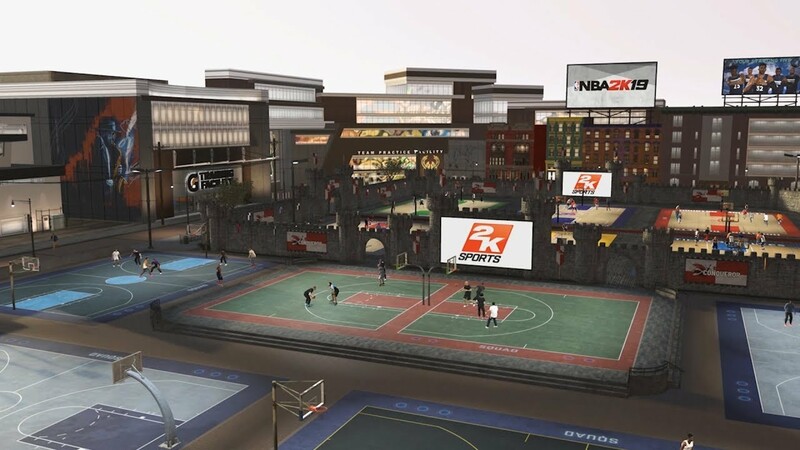 Blacktop gives you the option to show off your streetball skills in either 1v1 up to 5v5 giving you access to all the greatest players past and present. 2KU on the opposite end of the scale, teaches you all the in’s and out’s of the game. For new- and old players it’s worth the time to check out 2KU to keep up to date with all the latest refinements that has been brought to NBA 2K19. NBA 2K19’s focus on realism is somewhat daunting at first, but once you get the hang of all the new changes it is easy to appreciate why they were made. 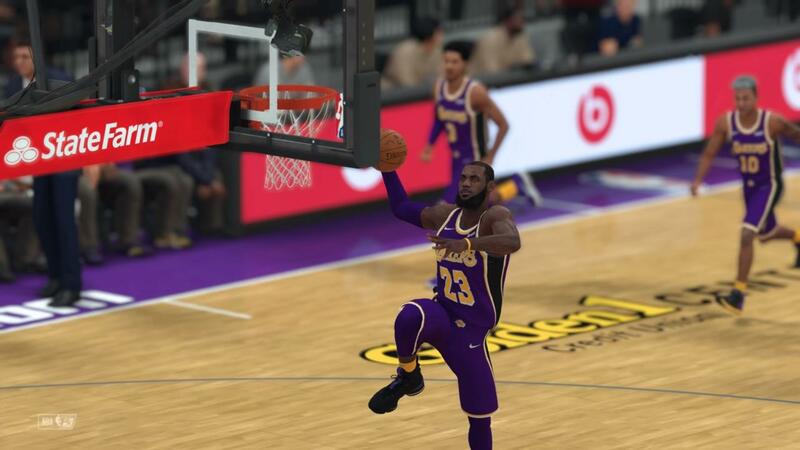 With crisper player animations, more lifelike visuals, and more balanced gameplay, NBA 2K19 is an incredibly rewarding basketball sim that compels you to learn all the game’s intricate maneuvers. NBA2K19 has made me want to watch Basketball and has a story mode that can easily compete with the likes of Madden and FIFA!